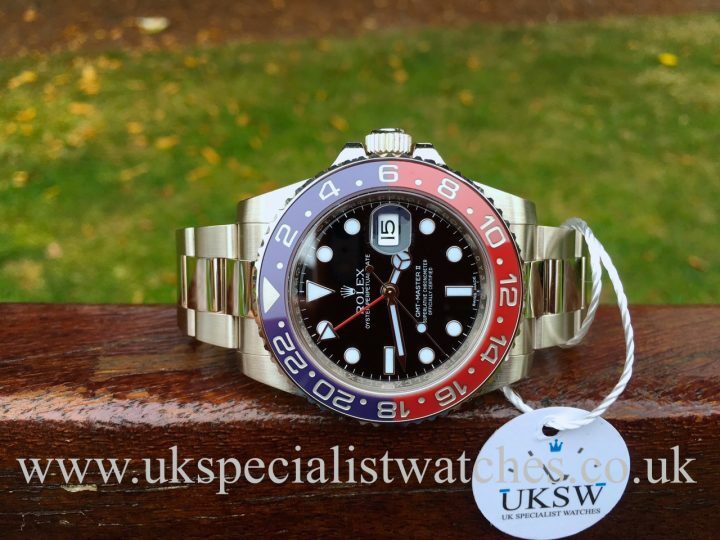 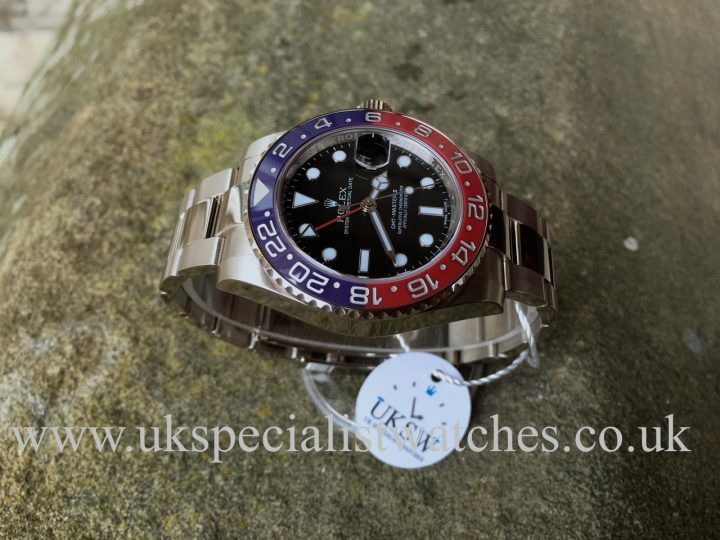 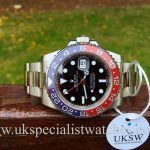 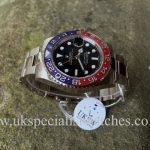 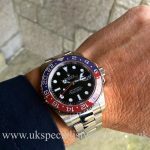 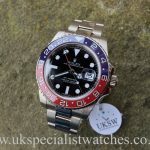 Rolex GMT-Master II Pepsi with a solid 18ct white gold 40mm case. Gloss black dial with luminous hands and hour markers with the date is displayed at 3 o clock. 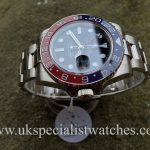 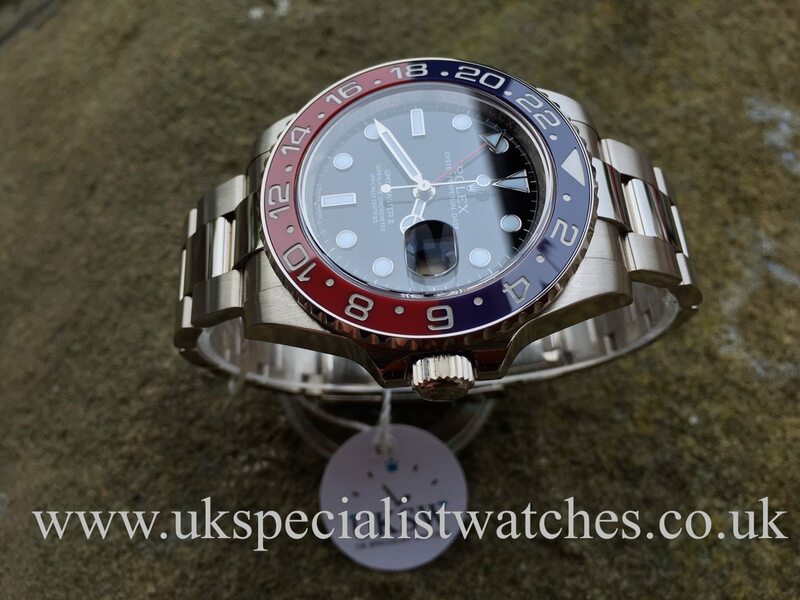 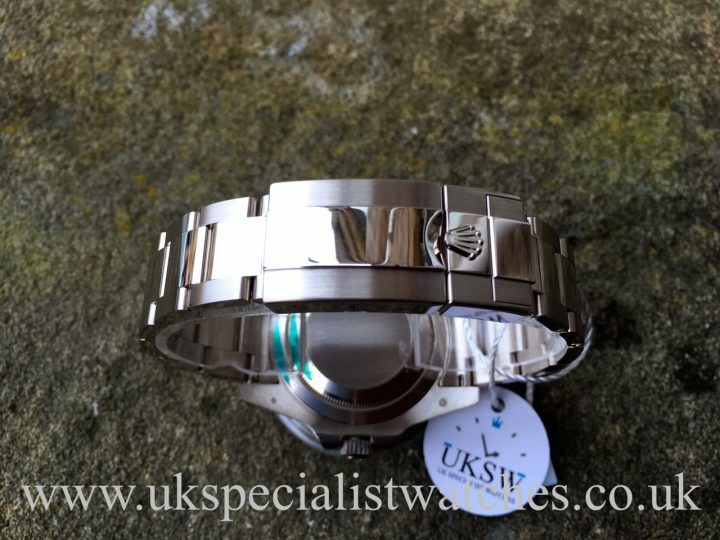 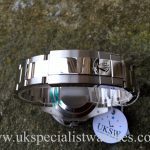 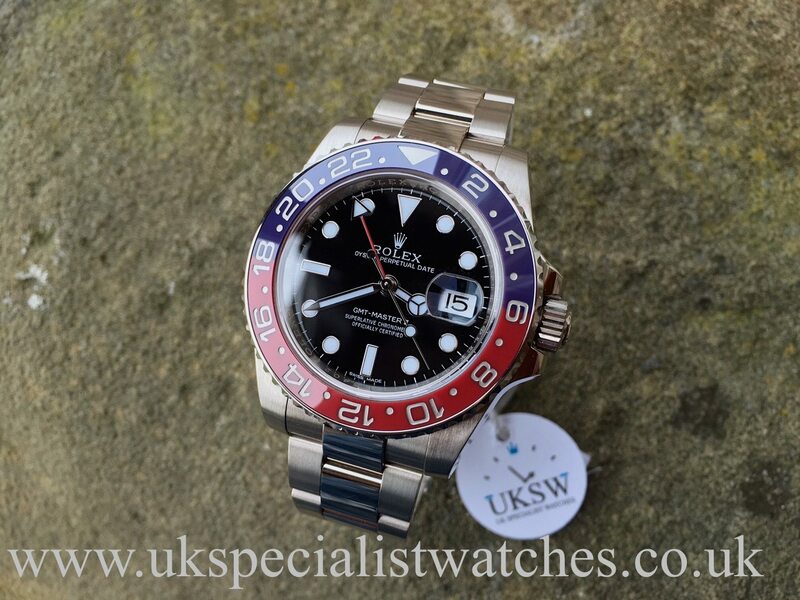 Scratch resistant red/blue ceramic bezel nicknamed the “pepsi” just like its stainless steel predecessor the 16710. . Fitted to a solid 18ct White Gold Oyster bracelet with highly polished centre links and the latest glide lock white gold deployment clasp. 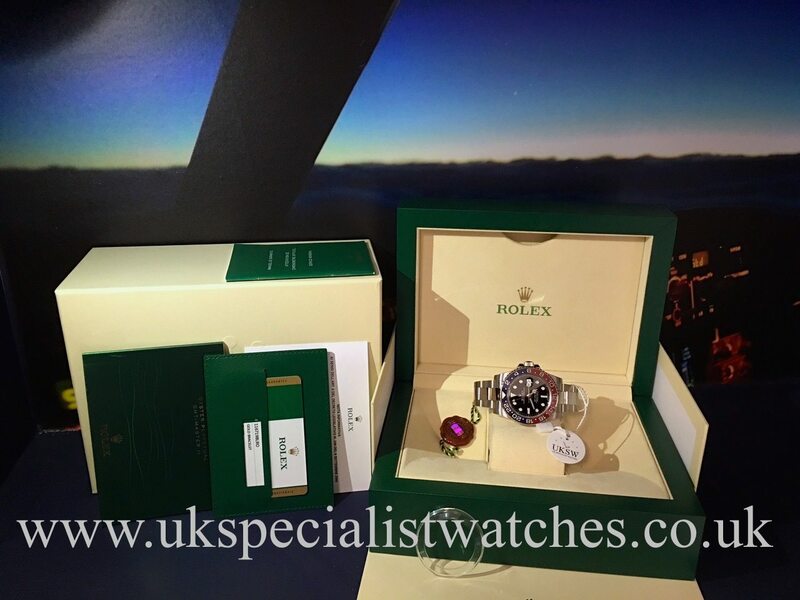 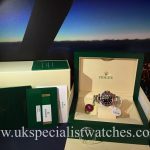 Our one owner 2015 example comes complete with boxes, green leather wallet, stamped warranty card, booklets and swing tag. This watch currently retails for £26,400.